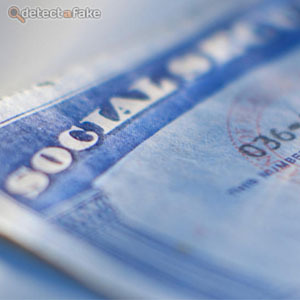 Identity theft is a growing problem for the US. 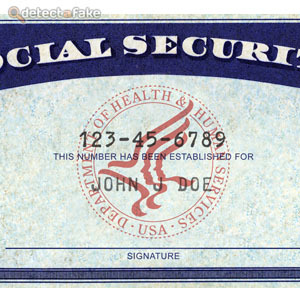 It is an important element in the line of defense, that fake Social Security cards be identified. 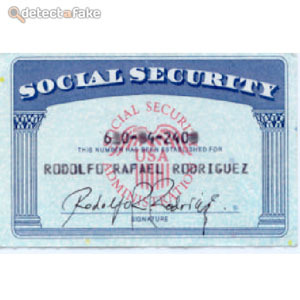 Follow the steps below to spot a fake Social Security card. Next, know the number sequence. The current format is a 9 digit number, broken up into 3 sections. 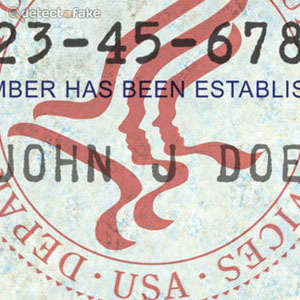 Next, look closely at the printed numbers and name (preferably with a magnifying glass). The numbers and letters should not have any smudges and should all be in alignment.